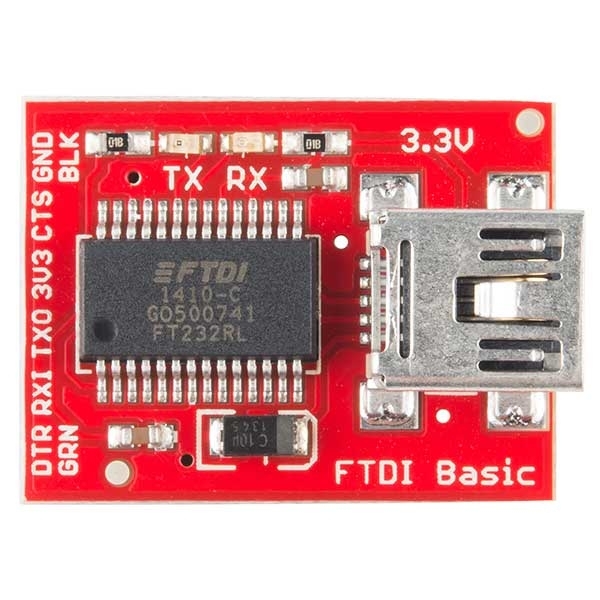 This is the newest revision of Sparkfun's FTDI Basic. 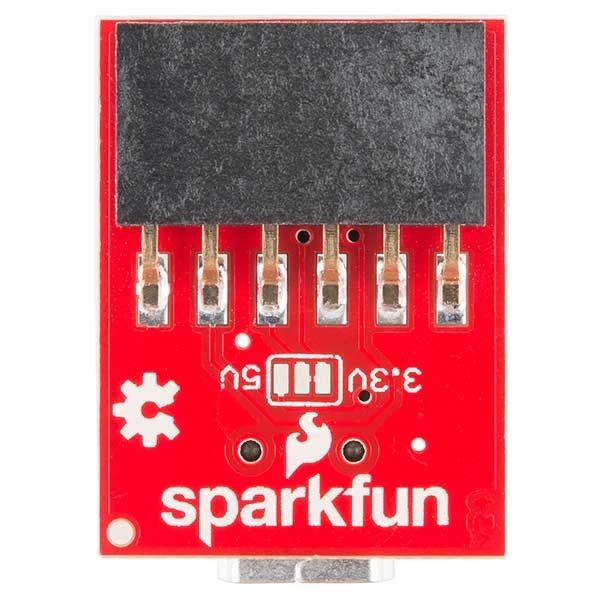 Sparkfun now uses a SMD 6-pin header on the bottom, which makes it smaller and more compact. Functionality has remained the same. 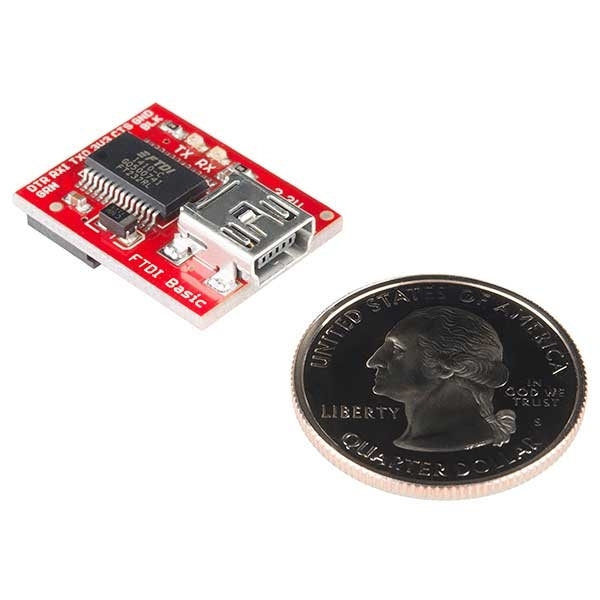 This board was designed to decrease the cost of Arduino development and increase ease use (the auto-reset feature rocks!). 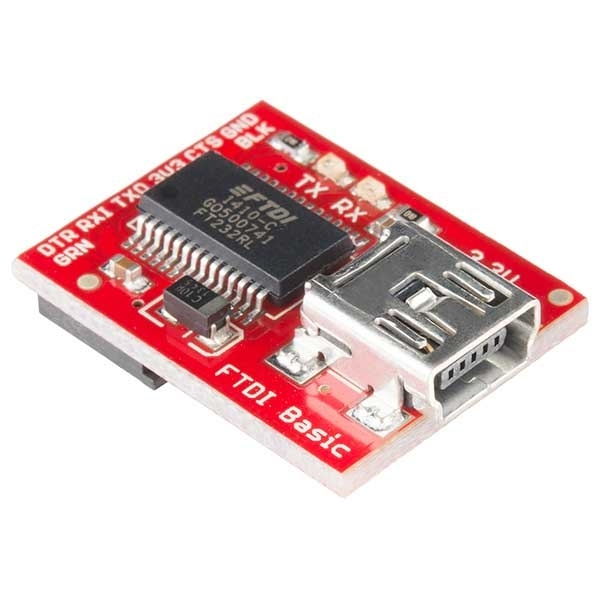 Our Arduino Pro and LilyPad boards use this type of connector.